MAAC Review: BLACK PANTHER | M.A.A.C. 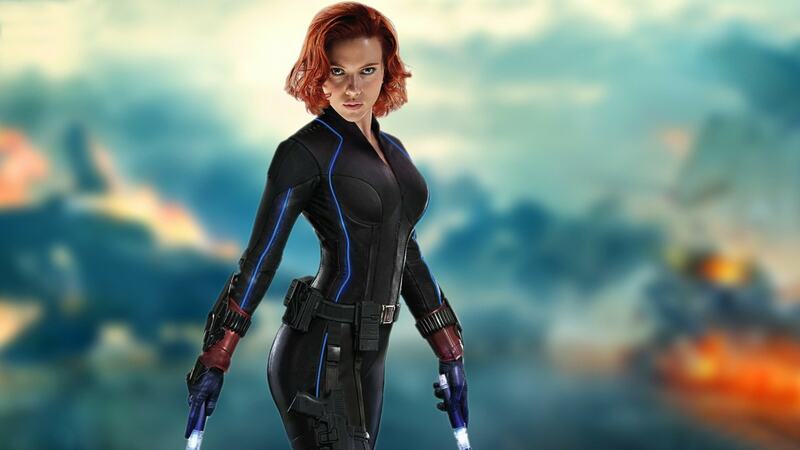 Eighteen movies into the Marvel Cinematic Universe, it’s easy to think (and sometimes proven) that their formula can grow stale. This is especially evident when introducing newer heroes in their own solo outing. Origin stories for superhero movies become more and more apparent that you’re selling the same product. 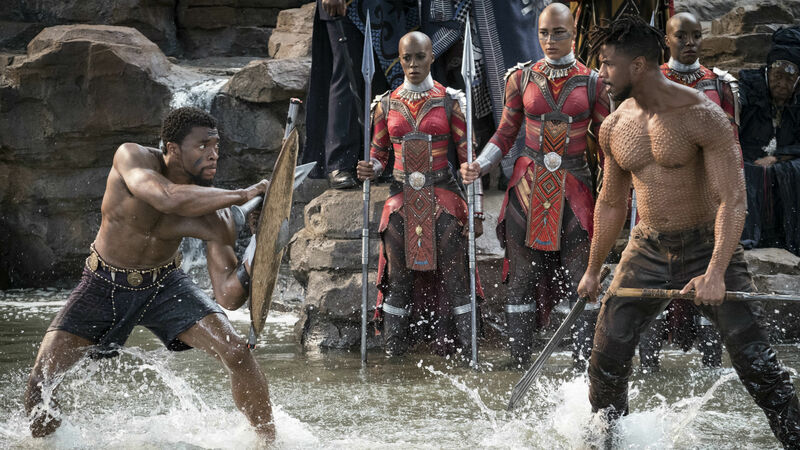 For BLACK PANTHER, it benefits from having its hero already established in a previous movie — Captain America: Civil War. “Black Panther” is directed by RYAN COOGLER (Fruitvale Station, Creed) and he makes an exciting, yet unsurprising choice. 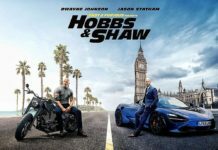 Blockbusters these days are now star-making vehicles not only for the stars, but for the directors that usually have one or two smaller movies under their belt. What Coogler has accomplished here is taking the hallmarks of familiar beats in a superhero movie, but presents them in such a refreshing manner, you almost convince yourself you’ve never seen them before. This movie is all about finding balance — both in and behind the scenes. 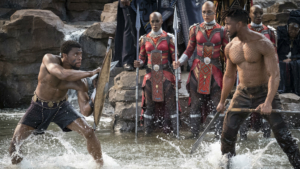 Throughout the story, Coogler attempts to balance plot focus and tone (there are elements of intimate drama that would normally clash with the spectacle). There is even a balance of sympathy from character to character. The characters themselves try to balance their ideals, their allegiances and their own demons and morals. Much of the movie revolves around diplomacy and relations with both enemies and allies. The unique thing about the Black Panther is that not only is he a superhero, but he is also a politician, so balance and diplomacy are very important themes throughout. 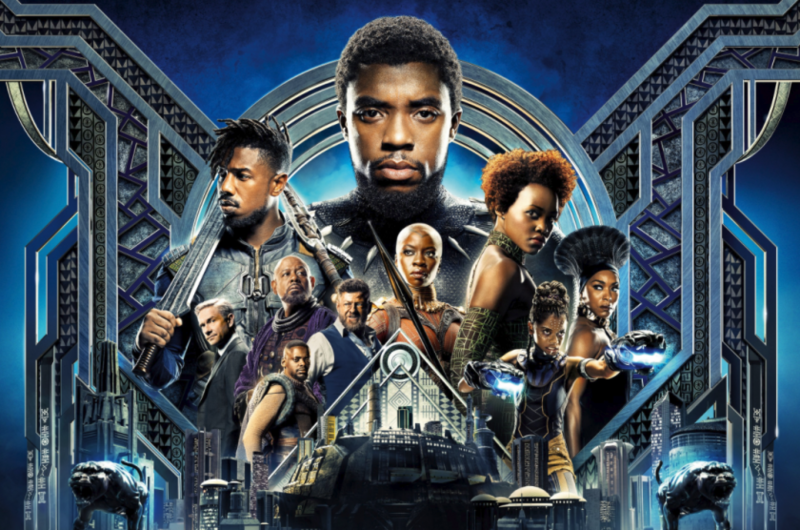 In a prologue, we are treated to the emergence of fictional African nation, Wakanda, as well as a short, straight-forward explanation of what the Black Panther is and how they have superpowers, told in a bedtime story narrated by T’Challa, played by CHADWICK BOSEMAN (42, Get On Up, Marshall). With such explanations out of the way early, we get more time to focus on characters and the world building of this secret society. The heart of everything in Wakanda is their precious natural resource, Vibranium. Previously introduced as the material Captain America’s shield is made from, here it is their source of energy as well as the foundation for their technology and their weaponry. 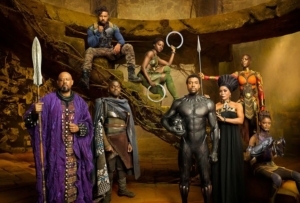 It’s also the cause of one of the deep debates in the movie since the Wakandans have kept it a secret for fear of abuse of its power. Should they keep it from getting corrupted or should they use it to help the rest of the world? The problem is now a weapons dealer, played by a non-CGI ANDY SERKIS (Lord of the Rings, Planet of the Apes), has leaked some vibranium into the outside world, selling it as a weapon and risks exposing the very fabric of their nation. He is aided by an American soldier named Erik Stevens/Killmonger, played by MICHAEL B. JORDAN (Fruitvale Station, Creed). 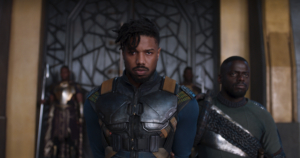 Killmonger is a cold individual who is seemingly in it for the money but may be hiding something bigger. 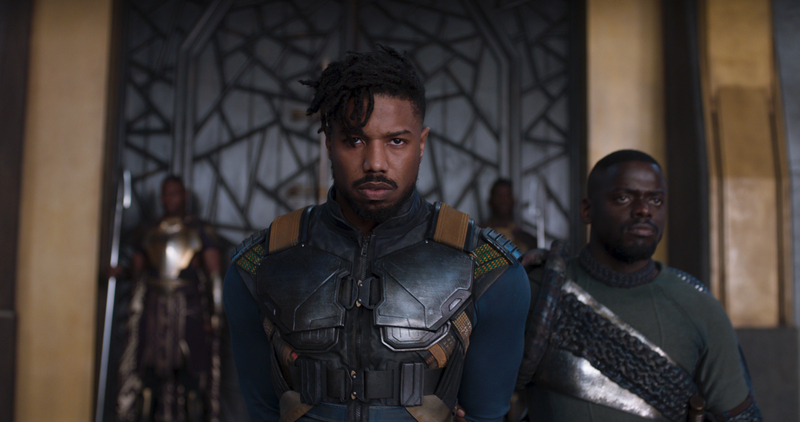 As good as the entire cast is, Killmonger/Michael B. Jordan is the standout. Again, as this movie tries to find balance, this character/actor is trying to find their own balance in internal struggle and, most importantly, tone. It works when it feels like it shouldn’t. What makes it even more gratifying is there is no build for expectation and when this character starts to take over the movie, you find yourself connecting with him, while at the same time, rooting against him. He is one of the most interesting villains the MCU has to offer. comfortable working with the weapons and it really enhances the drama of the action scenes. 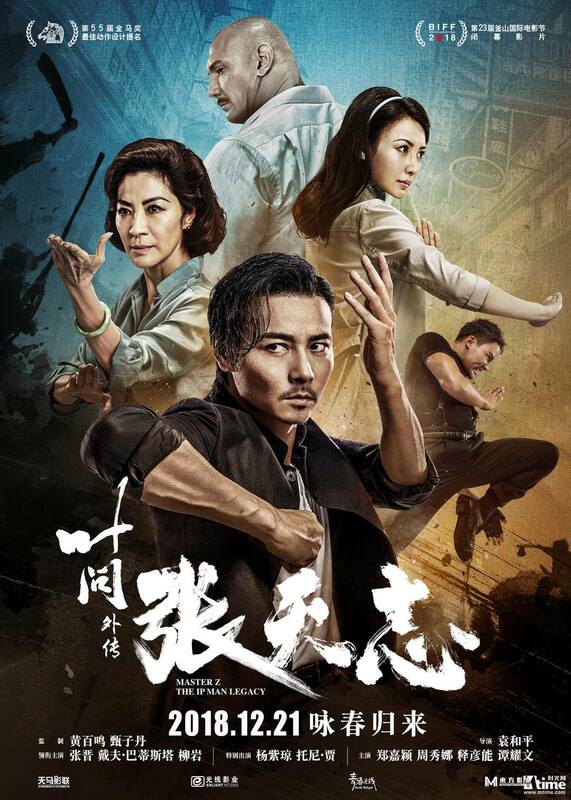 The two sequences that really bring this movie to a crescendo in terms of action and drama are the “challenge matches.” These challenge fights are heavy on atmosphere and drama that compliments the fighting and makes you forgive the lack of creativity in the choreography. These scenes are really what make the movie as far as action goes.